Does your business produce most of its waste at the weekend? Westminster City Council can help keep your business running smoothly every day of the week through cost effective and reliable weekend waste collections. Unlike some other waste collectors, we never stop collecting waste; every day of the week including bank holidays and even on Christmas Day! So, if like a lot of businesses, you generate most of your waste at the weekend or your current collector isn’t around on weekend, use our weekend waste collections so you don’t have to let your rubbish and recycling get in the way. 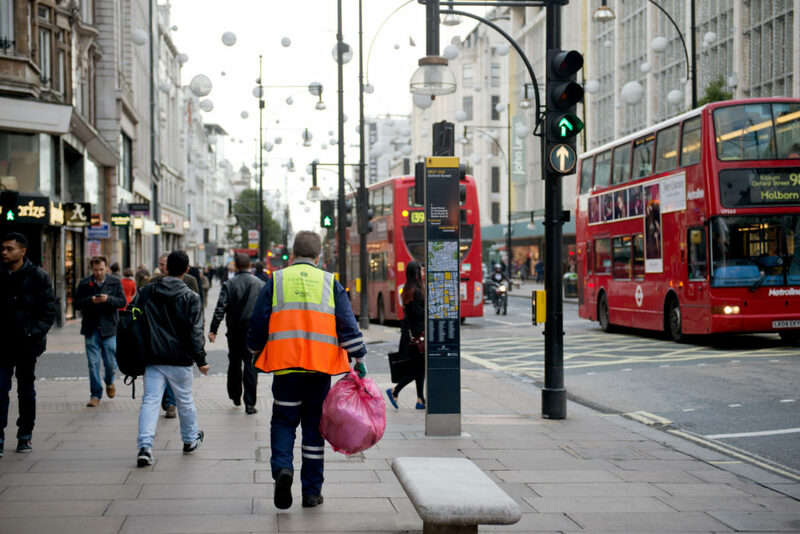 There are a number of other waste collectors operating in Westminster; however, many of them don’t collect on weekends or bank holidays. During busy trading periods, this can put unnecessary strain on your business and even affect its performance. Not only do we ensure that your waste is collected as frequently as you require, we will also provide these services at lower rates than most competitors. In all streets in Westminster, there are set times for when bags of rubbish can be placed out for collection. It’s crucial that businesses adhere to these times or else they could be breaking the law. If your rubbish and recycling aren’t collected on weekends or bank holidays, it cannot be left on the street. Westminster’s Commercial Waste Services can provide tailored waste collections that suit your business’ requirements, no matter what day it may be. So you can have peace of mind knowing that you’re not at risk of breaking any laws. How can you get started with weekend waste collections for 365 days a year? If you’re repeatedly let down by your waste collector, then you need to talk to us. Our waste collections are reliable and available at low rates. You’ll also benefit from 365 days of daily waste collections per year. So, if you want reliable waste collections all year round, then get in contact with us today! 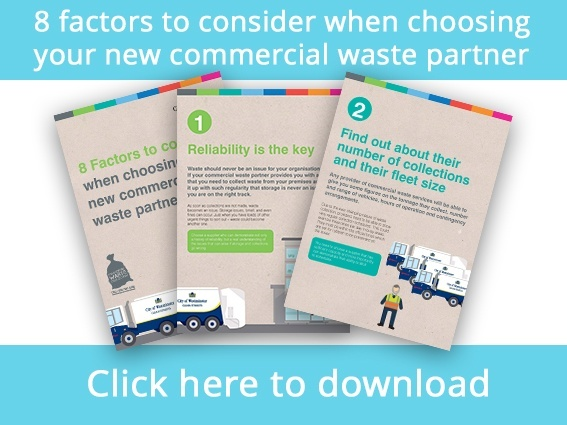 Or, if you want more information on choosing a new waste supplier then download our guide on this below.